The photo of your loved one takes center stage as the background of this sophisticated announcement. 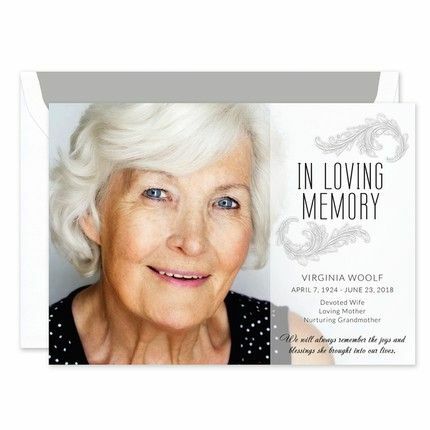 “In Loving Memory” is preprinted at the top, anchored by a pair of flourishes. Add your personalized text to complete the look. The size of the photo printed on the sample card is 5 x 7 inches.